CarGurus has 723 nationwide TT listings starting at $1,995. The TT has been trying hard to stay relevant, aged though it is. It’s already been more than 7 years since we first saw the quirky little coupe and rowdy roadster jaunting about with Audi’s single grille out front. In truth, the TT looks every bit of those 7 years. Thankfully, it doesn’t drive like a car from the mid-aughts. It gets slightly slower this year, as Audi drops the venerable TT RS trim to simplify its lineup—and raise its fuel economy ratings—but the TT is still capable of making the rounds with enthusiastic authority. Even in “base” TT form, the 2.0-liter, turbocharged engine will send the little Audi on its way to 60 mph in just 5.3 seconds, thanks to 211 hp, 258 lb-ft of torque and perhaps most especially a dual-clutch transmission and AWD. Go ahead and choose coupe or convertible, they’re nearly identical with regard to performance and wholly identical with regard to features. Even the economy ratings are the same across the lineup, at 22 mpg city/31 highway, although reviewers and testers have reported even better results in the real world. For more enticement in 2014, Audi has standardized previous options, hoping you’ll forget a refreshed version is due next year. That means the S-line trim, interior LED lighting and premium Bose stereo are all included. You’ll also get leather seats with alcantara inserts, automatic climate control, xenon headlights with LED daytimes and a flat-bottom, multi-function steering wheel. What you will not get is Audi’s impressive MMI system. You’ll have to wait another year to enjoy it—plus all the Google services it makes available—in the TT. You also won’t get a hardtop in the convertible, as Audi bucks the current trend by using a lighter and more compact soft top, which helps the Roadster maintain a lower center of gravity and its 8.8 cubic feet of storage space. Available options include leather sport seats, rear parking assist, a 6-CD changer and a very capable navigation system with real-time traffic. Don’t listen to those who will say the Audi system isn’t up to snuff—it’s just not Google Maps. Additionally, you can add a Carbon Package, which will tack on a carbon front splitter and rear diffuser. We’ve yet to see current crash testing for the TT, but with dual front, side and knee airbags to pair with traction and stability control, you’ve got little to worry about. The TT’s big problem has always been perception. People expect it to be a true sports car. While capable and fun and better than most on the road, it’s really not a sports car. It’s a luxury car with some athletic aspirations. If you’re truly looking for something of a sports car in a convertible, the Miata would be a better choice and save you some money, too. If it’s the luxury and finish you’re wanting, a 1 Series BMW convertible should fit the bill nicely and even best the TT in terms of handling. Regardless, it’ll be a whole new TT next year. 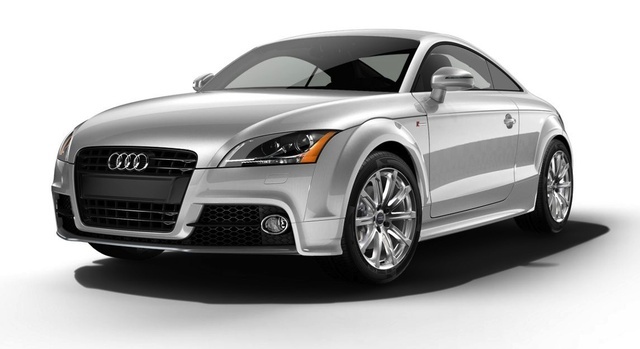 What's your take on the 2014 Audi TT? Ellis I bought a 2014 TTS and love everything but the harsh ride on its 255R19 Pirelli SottoZero tires. 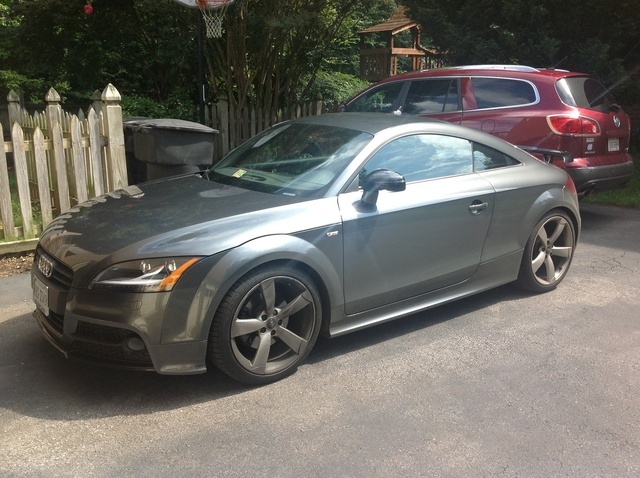 Have you driven a 2014 Audi TT? Whenever I pressed the button to switch from petrol to Gas there is a continuous blip. Why?